I’d painted over the silver FedEx with some black paint, but the paint didn’t stick to the reflective FedEx silkscreen ink. So I had this patch made by a woman in Ukraine that I found on Etsy. She did some other patches for me as well. I used Gorilla Clear Grip contact cement because I did not want to sew through the liner layers to affix the patch. 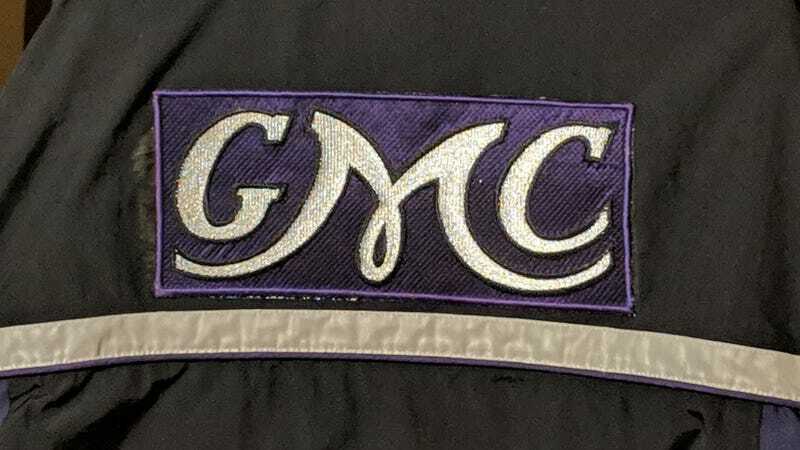 I lifted the GMC jpeg from the internet, then changed the colors to get along with the parka, then had the Ukrainian woman make me the patches from the jpeg. First try at such a thing and I am satisfied.